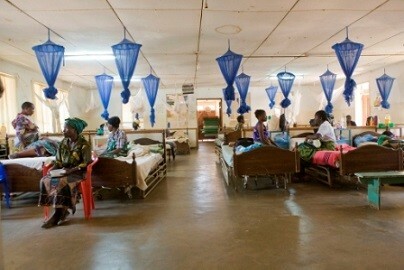 Shocking revelations have emerged that health facilities have turned to a relatively death waiting place in Mzimba district because the Malawi government has poorly funded the hospitals. Malawi24 visit in to six health centers in the district recently found that almost a good number of them were facing a lot of problems ranging from drugs shortages, transport and meals among others. Investigations on the matter established that so far the ambulance at the main referral hospital,the Mzimba district hospital is lacking adequate fuel such that it has been latent for close to a week now. Ekwendeni hospital in Mzimba, also affected. This implies that serious illnesses from small health centers are not being referred to the district hospital due to the same reason consequently making many chronically ill patients to assume that such facilities are death waiting wings. As if that is not enough, hot meals for officials on night duty have also been suspended in all heath centers in the district due to lack of resources. Some patients who spoke to our paper on Friday also complained that they are not receiving meals presently. “We don’t receive meals this time we don’t know why. People have to buy or bring food from their homes,” said Emily Kanyasko. This paper has seen the records and has established that government allocated only seven million instead of 18 million kwacha to be shared by all health centers in the district. This has forced increased the burden on authorities to effectively run the facilities. Mzimba district hospital media relations officer Healings Nyirenda has since confirmed such problems citing with the poor funding they got from government in this fiscal year they cannot perform beyond what available resources can manage. “We suspended hot meals for workers on night duty as well as patients due to the same problem,” said Nyirenda. This comes at a time when the country is going through financial woes that have left almost all sectors in shambles. It has been reported that almost all hospitals in the country are facing relatively the same problems as in Mzimba. Frankly Speaking Presidents Never Mind About North.Am Here Southern Region They Realy Do Care In All Sectors.Anyway My Fellow Northerners Look Up & Call Upon The Name GOD to Intervine.Sorry. Wina nkumachoka ndi makobili ambiri while we are in such situation . The big doctor and a good king is JESUS CHRIST amen. Mr bendera will b answerable all of these in hevean. Ajohn mwapeya.thanks alot.uno him better. So y r they toking vaziiiii.wr r their alla.or Almighty God.? De issue could b history in Mw but malawi electral commision imve kut idawalakwira a malawi popanga zithu mwa phuma,let all wait 4 God’s intevtion,am sory 4 innosent pple oh Mw y our land God? wt is wrong wth mzimba?police complaining evil spirits & deaths. wow! Our God is not sleeping. He has all the answers and lm sure very soon our God ll speak. Zomango commenter za chamba pano ayi ngati uli bwino ungothokoza ukaone chipatala chaboma chomwe chili mdera lakwanu kapena udikire bale wako adwale ndie uzikamba bwerela zakozo. Namwe ba Ngoni, icho mukukanila kugawa district sowe! Ase nthe munavipatala ku Ekwendeni ‘District’ na ku Luwelezi ‘District’. Nthawi ikakwana yakwana basi kodi analenga imfa ndani? Peter u see nw we loosing our beloved relatives bcz of ur selfishness. Justice Mackson Mbendera, can you see the effects of your decision? They Are Busy Spending Money On Useless Things, And Failling To Provd the services which they promise,let them now that amalawi are watching!!! !